Spyderco Knives for sale | Horizon Bladeworks. Knives by Spyderco knives. 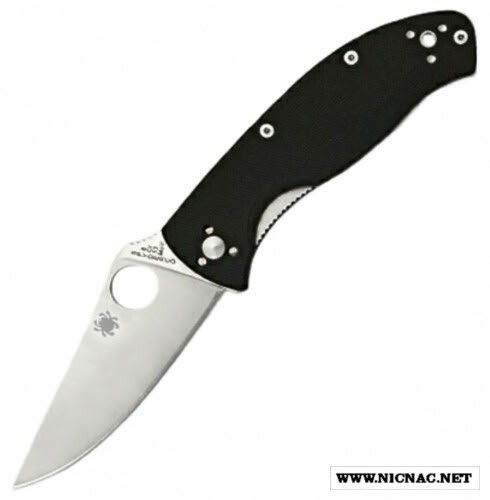 This Spyderco knife was the first to feature a round hole in the blade designed for fast, one-handed opening, which is now Spyderco's trademark. Additionally, Spyderco claims that this was the first knife to feature a pocket clip on the right side of the handle. Most Spyderco knives are folding knives, of various designs, blade steels, handle materials, and locking mechanisms (including two patented proprietary locks) however, they have also produced fixed-blade knives for various purposes.